Do you remember the worst time you were ever catcalled? Harassed? Followed in the dark? Told by a stranger that “you’re so beautiful, you should be smiling?” Told things waaaay worse than that? You can probably still picture the street corner or sidewalk or café where it happened, right? 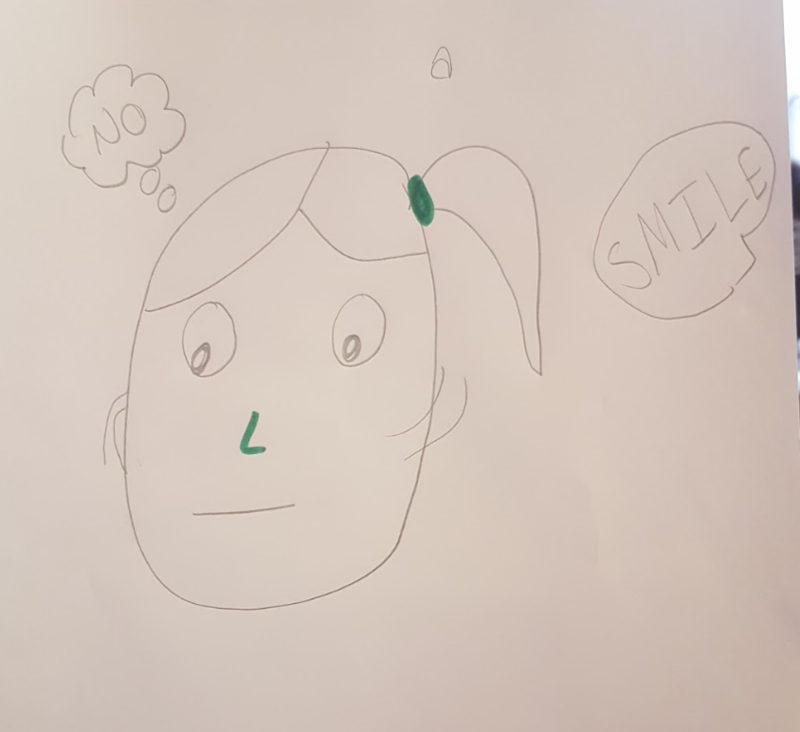 What if you could go back to that place, armed with thought-provoking, surprising anti-harassment stencils and stickers – ones that would really make people stop and think – and do your part to mark that place as a safe zone? Would it be healing? Would it make a difference? Sisters and Detroit-area natives Brooke and Brea Harris think so. They’ve long known that women in many parts of Motor City don’t feel safe, and even as Detroit explodes with waves of fresh creativity today, they see the problem getting worse instead of better. It’s not that the things harassers do or say in Detroit are definitively worse than in any other city, they notice, but that because it’s not a super walkable city, and because there’s not a great public transit infrastructure, you’re more likely to be caught facing your harasser alone, in an empty street. And when you’re alone, you’re less likely to, you guessed it: HOLLABACK. 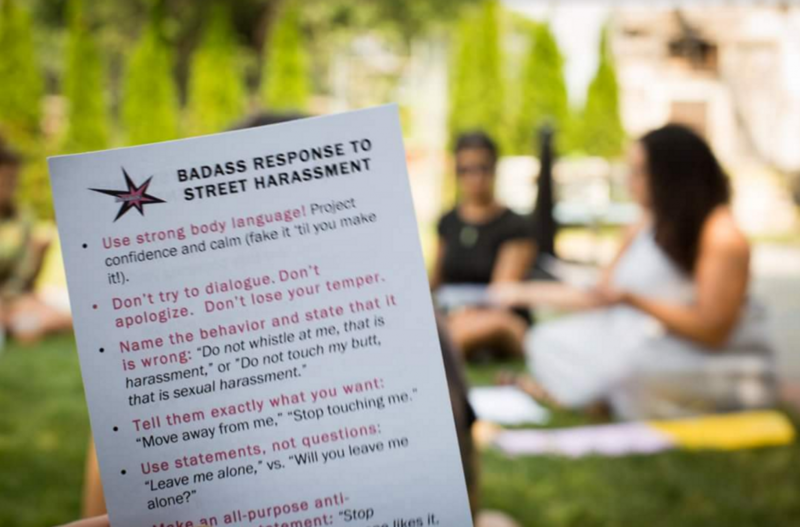 That’s why Brooke and Brea – a social justice organizer and an artist, respectively – have created the first ever Detroit chapter of Hollaback!, a fantastic international movement fighting to end harassment. They’re raising money via ioby right now (just $70 more needed to meet their August 20th deadline) to commission four different anti-harassment stencil and sticker designs from local artists. Hollaback! volunteers and chapter members will put the newly-minted, artist-designed spray-chalked stencil designs and stickers up all over Downtown and Midtown Detroit, where some of the worst harassment happens. The works’ messages will range from the bitingly sarcastic (for those vicious and even violent harassers who know exactly what they’re doing) to a gentler awareness-building (for guys who might not mean harm, and just don’t know better, even in 2016). Harassment is more than an annoyance, or even a threat: it’s a handicap. It limits women’s lives in real ways. Women drive the longer way to work, to avoid a harassment hot spot, or wonder if it would be easier if they asked a male coworker to meet them in the parking lot each morning, or don’t feel free to wear the clothes that make them feel comfortable, beautiful, themselves. They plan their days around it. They have to waste their valuable time thinking about it. For someone who’s lived in the Detroit area her whole life, who is trained as a teacher and social justice organizer, and who cherishes the friendliness of Detroiters, that is a sad, sad state of affairs. So here’s to the fight for a harassment-free world! Is this an issue close to your heart? Donate $6 to buy a can of spray chalk, $10 to see 10 stickers made, $20 to create a custom stencil, or $50 for 50 stickers. Any amount helps. Live in Detroit? Have time, inspiration, and ideas to contribute? Hollaback! Detroit wants your help! And if you want to help stencil or post stickers, you can work on the ground in whatever neighborhood you think needs it, whenever you have spare time. Just email detroit@ihollaback.org for more info. Explore the world of Hollaback!. 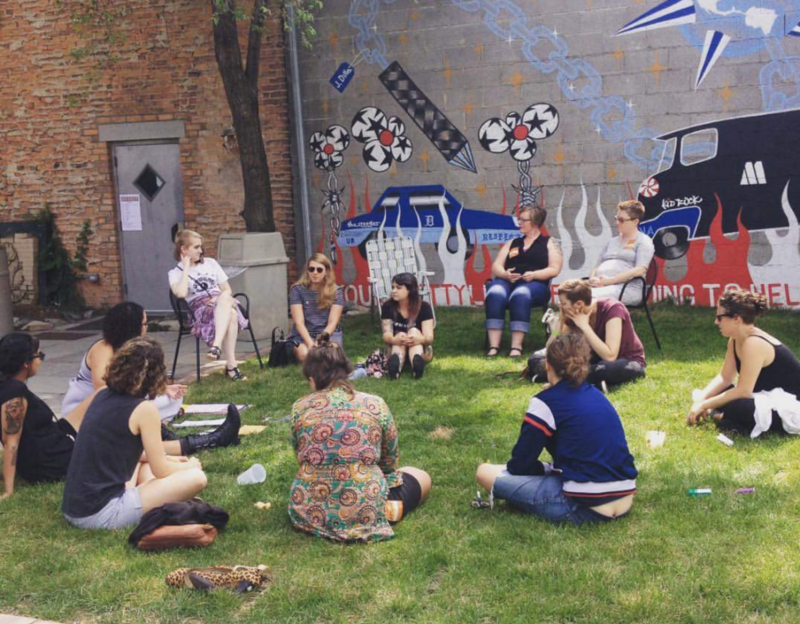 This truly incredible organization offers resources, harassment research and data, a place to share your story and read others’, site leader trainings, nine-month intensive workshops, and no shortage of solidarity. You are not alone, and you do not have to accept harassment as a part of life. Spread the word! Pssst…. In OTHER ioby news: Got a pond in your neighborhood that’s growing more toxic algae than anything else? Here’s what one community organizer is doing about it. What an incredible movement. Thank you for empowering us all!